We are endeavoring to make your life just a bit more orderly. Conveniently located in Carlisle Center -- bordered by the Town Green and the Carlisle Public Schools at 50 School Street, Carlisle, Massachusetts (in the historic Congregational Church). All this offered by people you will know, like, and trust! We would love to answer your questions...! to answer questions and lend a hand. I recommend them without reservation and consider them friends in their care for our welfare and satisfaction. 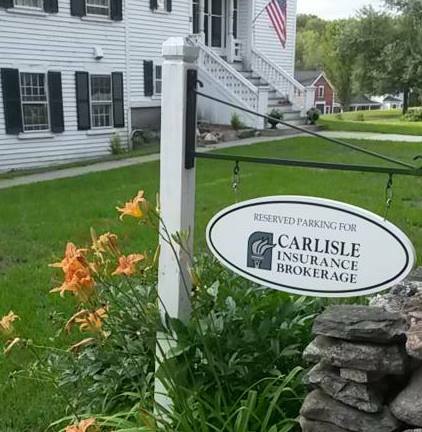 © Carlisle Insurance Brokerage, Carlisle, Massachusetts. All rights reserved.